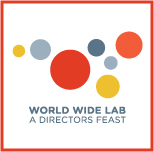 The WWL was initially inspired by an experiment we all took part in, either as participants or as witnesses, while attending the Lincoln Center Directors Lab in New York in 2010. Some of the directors were paired into co-directing teams and were asked to collaborate with a director from an entirely different cultural background. The directors had little knowledge of the theatrical traditions that were carried into their shared rehearsal room, their cultural influences were often foreign to their directing partner and some of them did not even share the same spoken language. Yet they had to communicate through theatre and find ways to merge their approaches into one piece using one cast. That experiment led us, twelve directors from nine countries, to reunite a year later in 2011 for a residency at the Watermill Performance Centre on Long Island and form a collective we called the World Wide Lab. We decided to continue reuniting annually with the aim of further exploring co-directing in cross-cultural context. Our 2012-2013 WWLabs were hosted by the Irondale Ensemble in Brooklyn. The 2014 WWLab took us to Rome and 2015 led us to Greece. 2016 brought us to Asia for the first time, to the WWLab Taipei. Over the years each WWLab had a specific nature, different from the ones that came before, experimenting with a different addition and emphasising a different element in our exploration process. In some WWLabs we explored directing in foreign languages that none of us spoke. In others, we developed multi-lingual pieces. At some point we started introducing artistic directing into our collaboration mix. One time we directed ourselves as performers. Later we invested in an ensemble of local and international actors. Using Skype, our main tool of communication throughout the year, we examined directing from afar and discovered the opportunities that arise when your rehearsal room expands through continents and oceans. Back in 2014, during WWLab in Rome, I witnessed Jocelyn Yuchia Chang, our Taipei producer and co-artistic director, when she started considering the idea of WWLab in Taiwan. “Asia is going to be different for the WWLab”, she said. I wasn’t quite sure then what meant, but indeed Taipei introduced a new set of ingredients to our process. Jocelyn and co-artistic director, Chang Nai Wen, invited us directors to devise site-specific work at Banqiao 435 Art Zone, a space filled with Taiwanese political history, with the aim of merging individual work into one piece, creating one journey for the audience to follow during the performance. More than in any other WWLab, Taipei also provoked personal questions about ourselves. The theme TRAUMA & HEALING is the premise of our 2016 WWLab. In my conversations with my co-director Evan T Cummings from New York personal questions led our way. We started from sharing thoughts on personal traumas and the different incarnations of trauma in our families, countries and cultures. In my life I dealt with repressed trauma and was interested in exploring the way we report that a trauma had taken place. How and when does one report the trauma to oneself? How do we pass and digest the news of our trauma as community? How does the media report the trauma of strangers? How is trauma being reported to future generations in history books? Based on his life experiences Evan expressed interest in exploring the ripple effect of trauma – how one’s trauma is spread in space and how its particles are transmitted from one person to the next, creating reflections of the traumatic moment in different volumes and versions. At some point in our conversation I was reminded of the short play INTERIOR by Belgian playwright Maurice Maeterlinck, which was intended for marionettes. The story follows two messengers as they wait outside a family house before entering to inform the family that their daughter had drowned. The play never clarifies what exactly happened – whether the girl was drowned by someone, whether it was an accident or a suicide. Instead, it focuses on the way the tragic news pass through time and place, from the messengers to the community and eventually to the girl’s family. Before Evan arrived in Taipei and joined me, I concentrated on the community: defining our tribe and creating its culture, locating its territory in the Art Zone. Knowing our company this year includes people from 10 different cultures who speak 8 different languages, I was interested in inventing a common universal language through which we could tell our story. On our first rehearsal I asked each actor to create a short physical sequence related to our theme and then to attach a word to it. One by one the actors shared their sequences with their group, teaching the whole ensemble their exact set of movements. The words followed and echoed in all languages from Italian to Chinese. Balcony. Basement. Stolen. From French to Greek. Improve. Sleepless. Freedom. From English to the Hebrew in my head. No. Sunshine. Transform. Each word is a heartbeat. Torn. Misinterpret. Open. This glossary of personal trauma became the tribe’s vocabulary. The experience of each individual was rippling in the collective’s consciousness through movement and sound. Taipei and its theme also made the directors self-reflective. We are a group of independent directors who have reunited over the last six years to go through a rollercoaster of a theatrical process in different corners of the world. As we were sitting at a local cafe for dinner on one of our first nights, an unspoken question slowly emerged from our discussion: why do we do it? Why did we choose to reunite yet again in Asia? A shared desire to experience our connection at a profound level was spreading between the bodies around the table. Deep-rooted feelings were brought up to the surface. We acknowledged how much trauma we carry from year to year doing this experiment and acknowledged that maybe after 6 years of doing this we finally matured to actually meet the true meaning of our work. This had a healing effect on all of us. It released hidden energies that may have been weakening the ties between us as a collective. We reconnected as a community that night, as a global tribe, and finally returned to speaking the unique language we all invented together at the WWLab. This entry was posted on November 10, 2016 by Jay Stern.